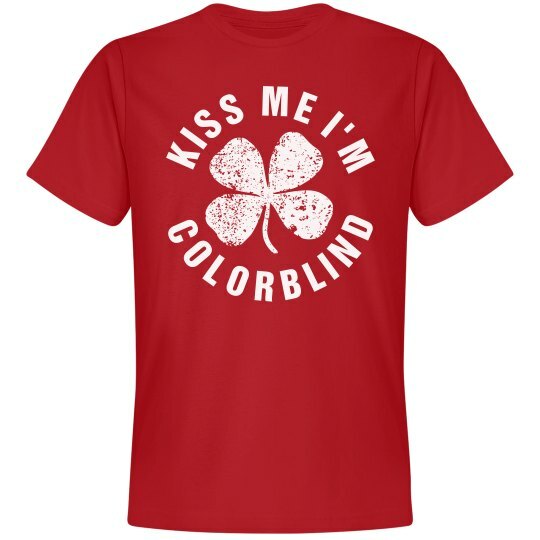 Kiss me I'm colorblind! 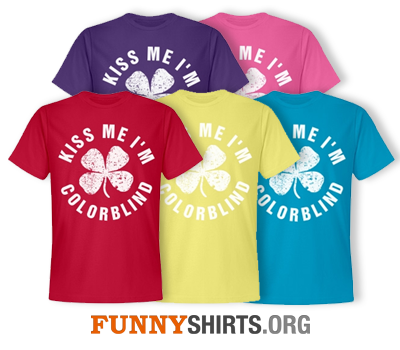 Get your St Patrick's Day fun on with this funny Irish design. 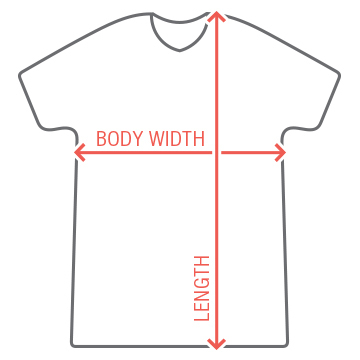 Don't like wearing green? Great! This anti-green St. Patrick's Day design is bound to get a few laughs from the shamrock crowd. Get different colors for all your friends!